This is a very pretty ring. 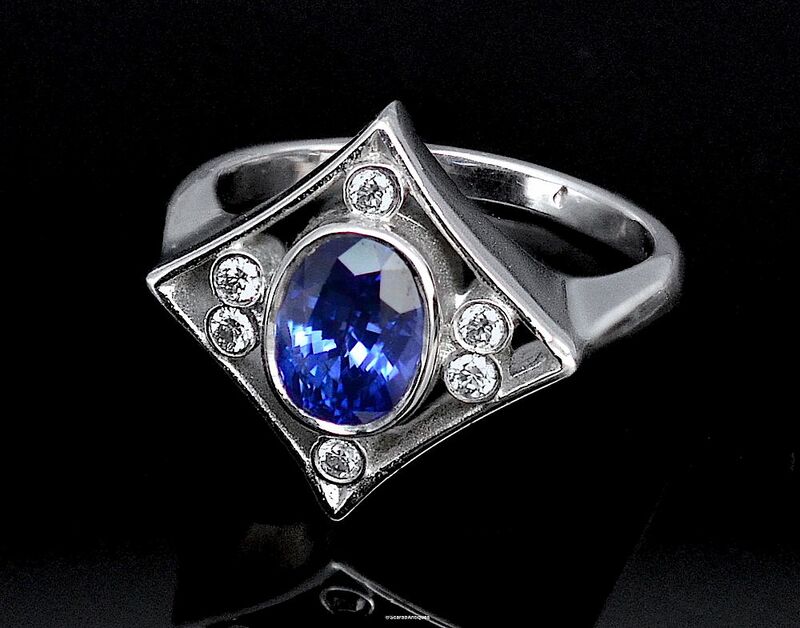 Made in 9ct white gold it has an oval blue sapphire in a rubover setting in the middle of the diamond shaped openwork top. 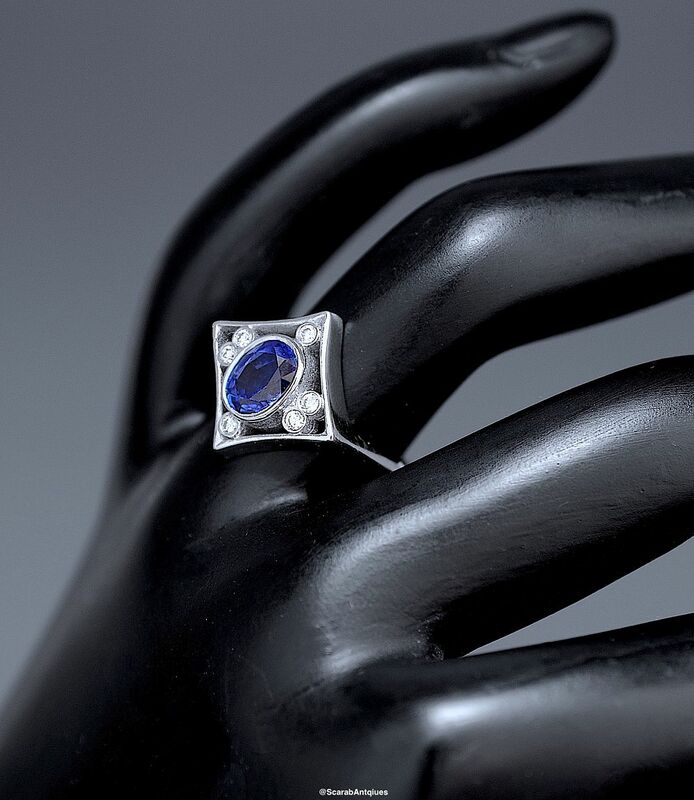 There are 2 round diamonds vertically set in rubover settings on either side of the sapphire and one round diamond in a rubover setting above and below the sapphire. The 9ct white gold shank is hallmarked by the London Assay Office for 9ct gold and 2012.